Didn’t quiet know what to expect when I got invited along to the local school’s end-of-term Pongol celebrations (*1) – certainly didn’t expect to be among the guests of honour nor to have hundreds of cheering middle and high school students welcoming us into the school grounds. But you know, I can handle being a celebrity for a morning! First off a Silambam demonstration from the students – this is a Tamil weapon-based martial art – teenagers with big sticks and sharp swords – they were having a great time. Of course the guests of honour were expected to give it a go – less said about that the better. 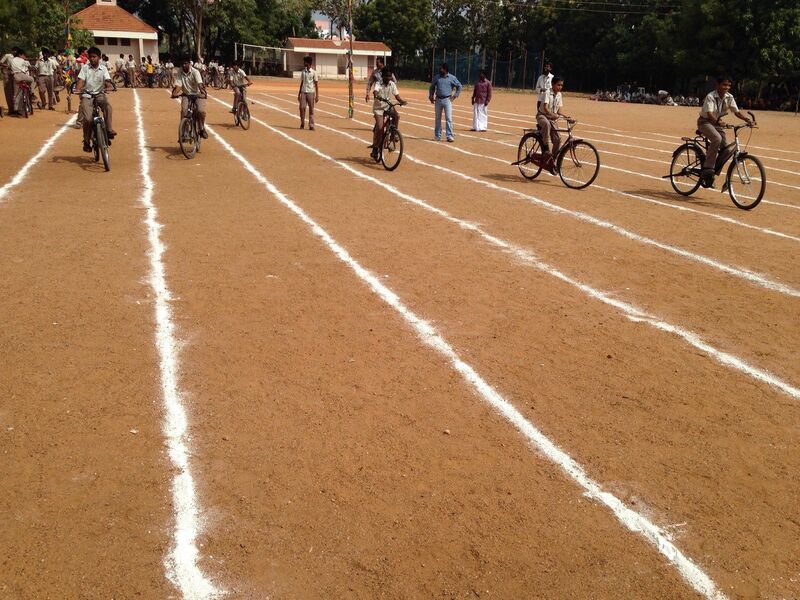 Not to worry, the Visitors vs Teachers Slow Bicycle Race would be a chance to salvage some pride… hmmm… thanks to Class 10’s Tamil language teacher, maybe not. It was on to judging the Pongol making competition after that – not before signing autographs for half the kids in Northern Madurai of course – with a fountain pen – beat that One Direction! Pongol is the sweet rice dish that gives its name to the upcoming festival – seeing it was my first time to try it, not quiet sure how I ended up on the judging panel – especially with it such a tight competition. I will say though that I while I was very fond of Class 11’s pongol, in the end it was Class 8B that pulled it off – congratulations girls! So, we finished up then with presenting the prizes and everyone got a half day off school after that – even the celebrities. 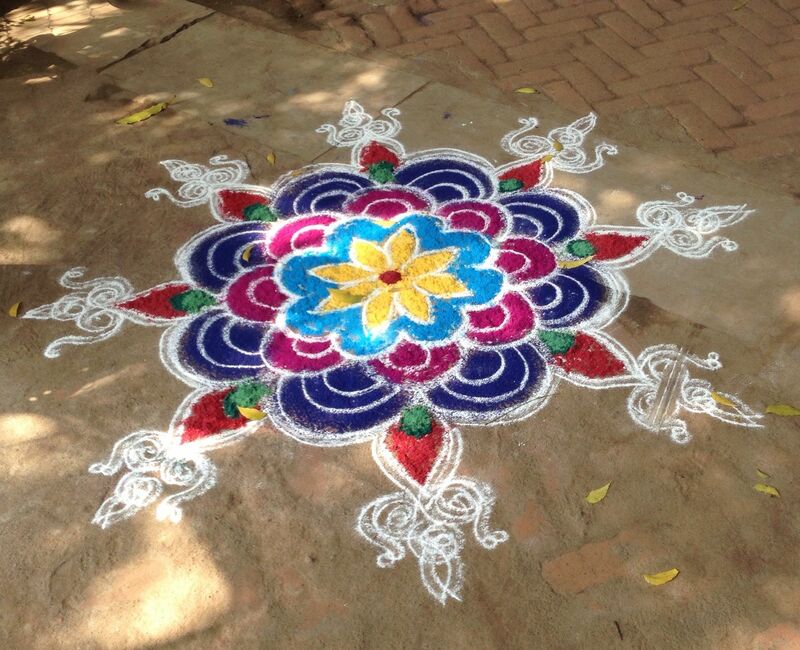 So btw, if anyone from Narayanapuram is reading – thanks for a great day! 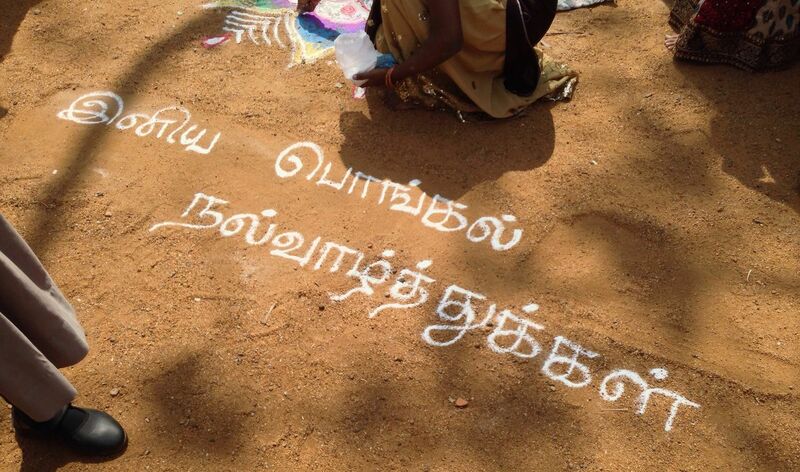 *1 – Pongol is a Tamil Thanksgiving festival and probably the biggest festival all year round – it kicks off next Monday/Tuesday (Jan 13/14th). This entry was posted in Uncategorized and tagged End of Term, India, Madurai, Pongol, Slow Bicycle, Tamil Nadu, Thai Pongol on January 11, 2014 by jp1100001.